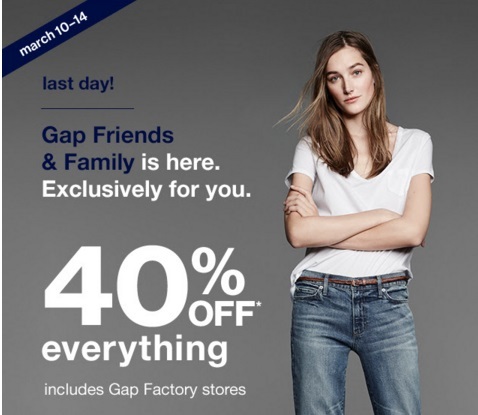 Last chance to take part in Gap's Friends & Family Event! Save 40% off your entire purchase! Enter the promo code CASALE at checkout. Offer is valid until today, Monday, March 14, 2016 in-store and online. There are no exclusions on this sale! Free shipping applies on orders over $50.